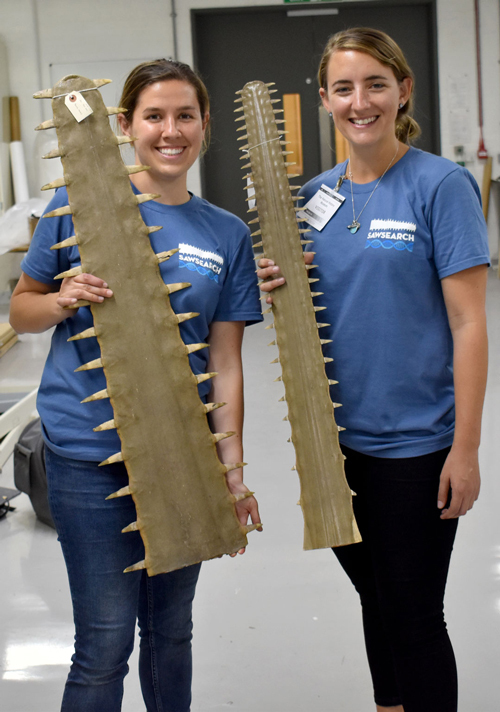 Thank you for helping with our ‘SawSearch’ project collecting tissue samples from historic sawfish saws! 2018 was a big year for us, thanks to funding from The Save Our Seas Foundation and The Shark Conservation Fund as well as support from our collaborators around the world. The most exciting news of 2018 is that we travelled to the UK with our collaborator, Kelcee Smith, to collect tissue samples from over 500 sawfish specimens. We visited 28 institutions and also had the pleasure of meeting some locals while sampling from their private collections. Even though sawfish were not historically found in the UK, we saw some of the largest collections and sampled some the oldest specimens we have ever seen, the oldest dating back to the 1600’s. A very special ‘thank you’ goes to Zena Timmons from the National Museums Scotland for helping us export all of the samples! After the UK, Annmarie headed to Australia, a stronghold for 4 of the 5 species of sawfish, to collect samples from old saws in private/public collections, which meant visiting homes, pubs, and museums. 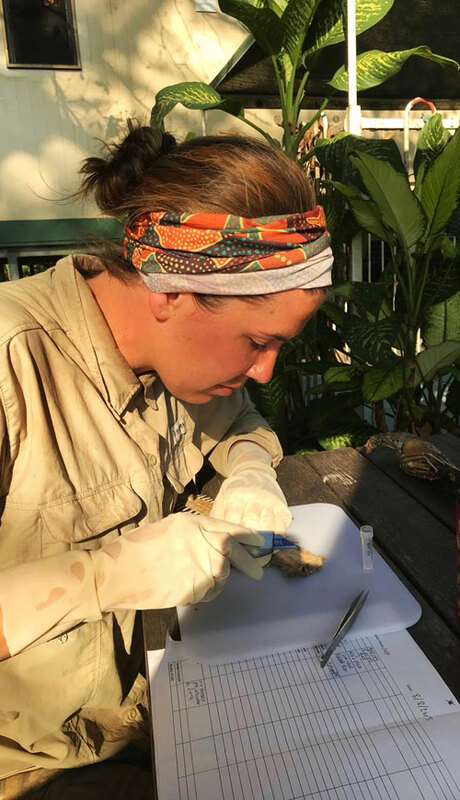 Her first stop was Darwin, where she got a true “Australian experience” thanks to support from our collaborators, Dr. Peter Kyne and Christy Davies at Charles Darwin University. In search of wild sawfish, Annmarie then travelled to Cairns to join Dr. Barbara Wueringer of Sharks and Rays Australia for two weeks of fieldwork. No wild sawfish were found, but with help from Barabara, Annmarie collected samples from more saws, for a total of 166 samples from Australia. Annmarie left Australia with some great life and “character building” experiences; her favorite being the time she sampled saws from an old mate that lived at a hotel/bar, on an island, in the middle of a river teeming with crocodiles in the Northern Territory. 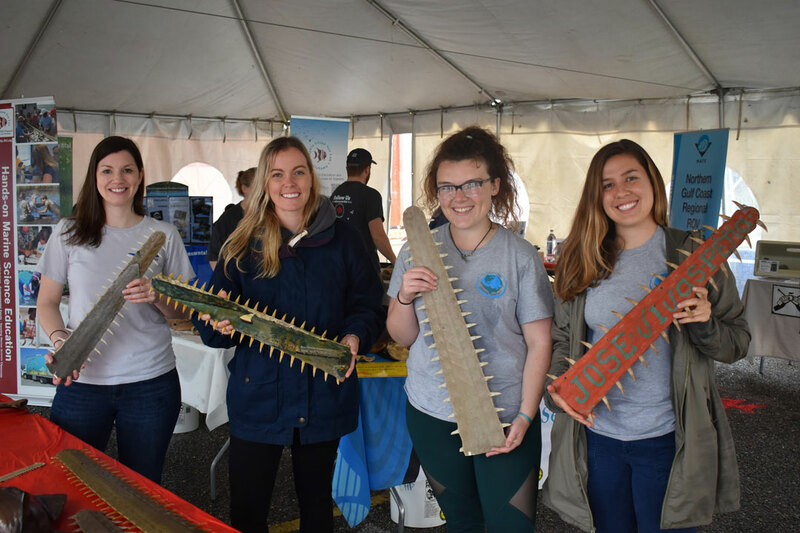 Throughout the year, we shared our research and passion for sawfish with the public, with highlights such as International Sawfish Day (October 17th) at the Audubon Aquarium of the Americas, live sampling events in the UK and Australia, and an article in Shark Focus, the magazine published by the Shark Trust UK. Nicole presented this research at the Sharks International conference in Brazil in June and Annmarie presented at the SPNHC conference in New Zealand in August. In the lab, we are currently generating DNA sequences from the samples we have collected over the years and are very excited to see results coming in. In 2019, we will finish the DNA sequencing and Annmarie will graduate with a Masters of Science in December. We plan to present this research at the American Elasmobranch Society meeting at JMIH in Snowbird, Utah in July and potentially the SPNHC meeting in Chicago. We hope to see some of you there! Thank you again for your help and support in this project! If you are interested in more updates, please visit our official project page. Not only the most distinctive feature of a sawfish, the prehistoric-looking saw also contains vital information. By analysing samples from around the world, Nicole is investigating the genetic health of largetooth and green sawfishes and will estimate how much genetic diversity was lost during the declines sustained by these species.